Lock in a great price for Hampton Inn - Washington DC/White House – rated 8.8 by recent guests! Good free breakfast, room was comfy, and everything was in walking distance. The staff was always polite, friendly and helpful. The complimentary breakfast was great every morning. I wasn’t a huge fan of the turkey links, but everything else was delicious! The water pressure was great, and the pillows were super. Breakfast was a nice bonus, gets busy after 8:00am so go early. The breakfast was the best part of the hotel. Variety of items helped get our day of sightseeing to a terrific start. Location, location, location! Not a lot of late night choices, but extremely convenient to metro and lots of lunch and brunch choices. Area felt safe and clean. A few free parking spots near by. Great location. Friendly staff. Good location for walking and public transport options for reaching most attractions. Lounge and breakfast area were very comfortable. Breakfast was very good but with a staff of one the replenishing was slow. Fresh fruit and coffee options all day is a nice touch. Great location, few blocks from Whit Hoiuse and metro. Only wish they had a bar, but the breakfast makes up for it. Hampton Inn - Washington DC/White House This rating is a reflection of how the property compares to the industry standard when it comes to price, facilities and services available. It's based on a self-evaluation by the property. Use this rating to help choose your stay! This hotel in the heart of Washington, D.C. is just a 5-minute walk from the White House and the George Washington University campus. Facilities include an indoor pool and free Wi-Fi. The rooms at the Hampton Inn-Washington DC/White House feature a 32-inch flat-screen cable TV and a work desk. They are warmly decorated and have a coffee/tea maker. Guests can visit the on-site fitness center at the Washington DC/White House Hampton Inn. A daily hot continental breakfast is served in the hotel lobby. A business center with copy and fax services is also available. Dupont Circle is a 15-minute walk from the hotel. 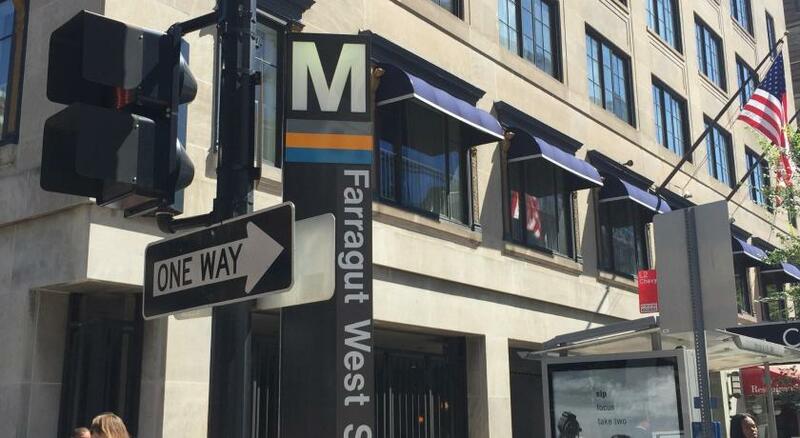 The Farragut West Metro Station is a 3-minute walk away and the Farragut North Metro Station is a 6-minute walk away. The Washington Monument is just under 1 miles from the property. When would you like to stay at Hampton Inn - Washington DC/White House? This room features a sitting area, 32-inch flat-screen TV and a coffee maker with tea service. Private parking is available at a location nearby (reservation is not needed) and costs USD 53.10 per day. This room features a flat screen HD TV. Our LEED Gold certified, downtown D.C. hotel is a modern hotel featuring free WiFi, room equipped with flat screen TV, and plush bedding. The hotel is conveniently located a block away from Farragut West Metro station and two blocks away from Farragut North Metro station. Complimentary hot breakfast is available to guests every morning, featuring fresh fruit, pastries, cereals, oatmeal bar, waffles, eggs, and more. Complimentary hot coffee and tea are available 24-hours, each day. Guests can maintain their fitness routines a the fitness center or indoor pool. Our business center with fax and photocopying services is also available. The Hampton Inn Washington, D.C./White House is an ideal location to monuments, attractions, and universities. The hotel is walking distance to Georgetown, George Washington University, Smithsonian Museums, and the White House. House Rules Hampton Inn - Washington DC/White House takes special requests – add in the next step! Hampton Inn - Washington DC&#47;White House accepts these cards and reserves the right to temporarily hold an amount prior to arrival. Hampton Inn - Washington DC/White House accepts these cards and reserves the right to temporarily hold an amount prior to arrival. 208 people are currently looking for a place in Washington, D.C.
Breakfast could be more varied and include more options. The room was very clean and spacious. The bed was comfortable and the shower was very large. 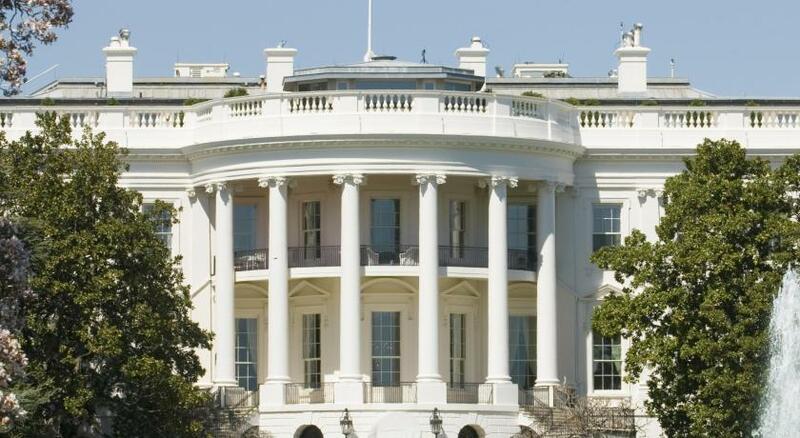 The location is phenomenal, it's a 5-minute walk to the White House! View from window was the side of a building. There was no refrigerator in the room. Shower curtain was too small for size of tub/shower. Staff was extremely pleasant and accommodating. The location is great. The room is clean and has everything I need. The cleanliness, room size and appearance was not worth the price paid for the room. We booked this location because of the convenience of how close it was to the tourist sites. We were disappointed that we spent such a high dollar on a mediocre hotel. The only thing that stood out about this hotel was the great staff. We were excited that our hotel had a pool, only to find out on the first night that it was dirty and looked as if it hadn’t been cleaned in months. Our first notice of the room was that we had booked a King Room, but our room size was much smaller than we had expected. The wall paper in our room was peeling off the walls, there were makeup splatters and other unknown splatters left behind on the bathroom wall. When showering I had noticed the soap holders were falling off the wall and that the knobs on the glass shower door were coming loose. The bed was extremely uncomfortable and stiff. We have stayed at Hampton hotels in the past and we have never been left this disappointed. I think this hotel gets lots of business due to its location, but if we were to come back we would prefer the travel of a decent hotel than to settle for this hotel again. Most of our stay was spent on the outside of the hotel luckily, but we were on our honeymoon and were hoping for a nicer room with the price we had paid. Booking.com will not let me adjust the star scoring, but I most definitely would not rate this hotel as a 5. If I could adjust this, my rating would be a 2/10. To start, the entry door had a gap at the bottom, the night club echoed thru the alley which meant that we heard loud music until 3am, and the breakfast area was a part of the lobby which did not provide enough seating for guests to eat. Only one valet at all times. Hotel is located downtown so you must use valet service, there is only one person working at all times. Wait can get quite long for your vehicle so be sure to plan ahead. The hotel should employee at least two valets at a time. The breakfast was basic (not a lot of choice) but overall fine. The location is extremely convenient. The linens on the bed smelled. The washbasin faucet was broken. The alley from the window had crazy homeless people screaming.